I did not even realize that the British Open started this morning, nor that my favorite golfer of all-time (Tom Watson) was even playing this year, nor that the 2009 open is taking place at Turnberry, the very same spot where Tom Watson and Jack Nicklaus had one of the most famous finishes in British Open history in 1977. So when I turned on Dallas sports radio station The Ticket this morning you can imagine my shock when I heard that not only was Mr. Watson playing, but he is in the lead after the first day! 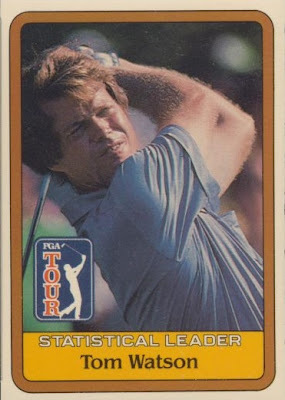 Growing up in Kansas City in the 70's and 80's, you loved Tom Watson, even if you were not a huge follower of golf. Tom was right up there with George Brett and Lynn Dawson. He really was. And the 1977 British Open had a lot to do with that. Watson and Nicklaus both shot a 68 in the first round. They both shot a 70 in the second round. They both shot a 65 in the third round. It doesn't get any closer than that. They were tied going into the last day, ten strokes ahead of anyone else. They were tied after 16 holes on the last day. I can't really do justice for what happened on 17 and 18, the article linked above does a much better job. But suffice it to say that one player won by one stroke, and they finished with the lowest and second lowest scores in British Open history. Watson has won the British Open five times and faced the greatest golfer of all-time in the process (Tiger may be better but at this point Nicklaus still holds the records). At 59, I know there is almost no shot of Watson pulling off this miracle, but I'll be rooting for him and I now have a great reason to watch the tourney. Go Tom!